Andrea Cornejo/Las Vegas Review-Journal A high water line, which shows where the water once reached, is seen on rock face in the Lake Mead National Recreation Area, Nevada on Jan. 17. Despite a dry winter in the mountains that feed the Colorado River, this year's forecast for the lake is slightly improved. January’s monthly report by the U.S. Bureau of Reclamation offers a slightly sunnier outlook for the reservoir than the agency had predicted in December, though both projections say the lake will finish the year about 5 feet lower than it is now. As a result, the river is expected to carry only about half of its usual flow between April and July, when most of the snowmelt and runoff traditionally occurs. Miller said it already seems like a foregone conclusion: This is going to be a lousy year for the river that supplies water to some 30 million people across the West. 3.9 million: How much water, in acre-feet, is now expected to flow down the Colorado River and into Lake Powell between April and July, just 54 percent of the average over the past 30 years. 14: The number of times the Colorado River has seen below-average annual flow in the past 18 years. 131 feet: How far the surface of Lake Mead has declined since 2000. 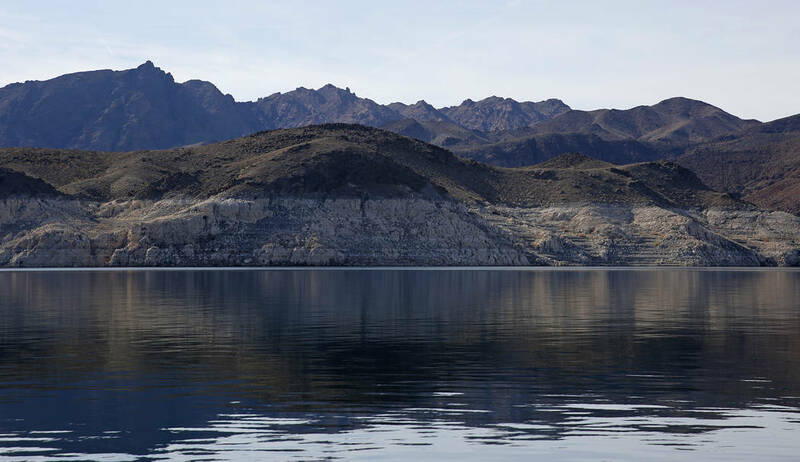 5 feet: How much farther Lake Mead is expected to decline between now and the end of the year. Lake Powell upstream is expected to drop by 23 feet in 2018.